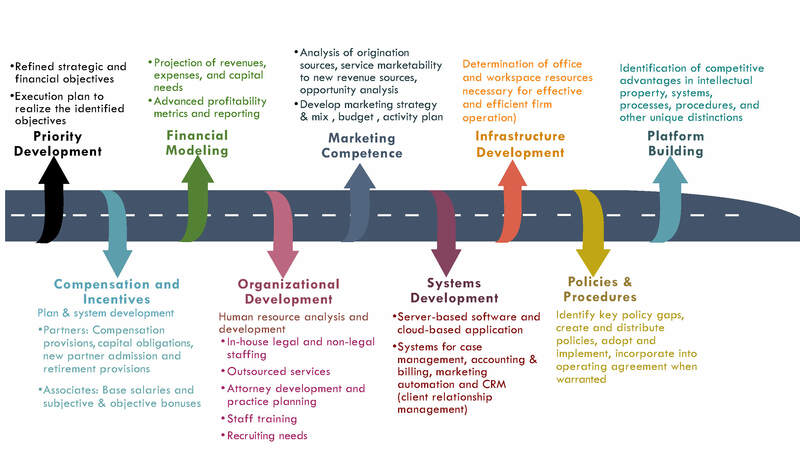 The business life cycle of a small/mid-sized law firm is often significantly different from the life cycle of other industries. Product companies, for example, have a life cycle that depends on the sustainability of their existing market offerings combined with their ability to innovate and create new offerings. These companies can make long-term strategic investments, change management and, if necessary, completely remake themselves. Conversely, most small and mid-sized law firms are tied to their equity members’ ability to practice law, originate revenues, and adapt to legal industry developments. These firms usually have little flexibility in dealing with abrupt market changes, poor management or long-term strategic plans. Because small and mid-sized law firms are owner-operated businesses and rely on equity members to generate revenue, there isn’t time for them to develop systems or pursue long-term priorities. Rarely is there a person, much less a team, whose only responsibility is managing the development of the firm. Equity partners have little interest in investing in future initiatives that involve short-term risk and deferred profits. A 5-year aggressive growth plan is not attractive to a 60-year-old member at the top of her earnings capacity who needs her current income to max out retirement savings. Moreover, there is no market in the United States for outside capital investment in law firms (investors seeking financial returns only). The ABA currently does not approve of any models of law firm ownership by non-lawyers. And since most young lawyers do not have the net worth to underwrite long-term strategies that may or may not pay off, senior partner net worth is a vital component of the long-term plans of small and mid-sized law firms. For these reasons, it is easy to see why small and mid-sized law firms fixate on current profits to the detriment of longer-term goals. Rather than invest in the future, they apply all earnings to partner compensation. Since the need to generate revenue and positive cash flow is primary, some of these elements remain a work in progress after startup. Beyond billing and collections, high-level business administration develops at a slower pace and requires additional skills. 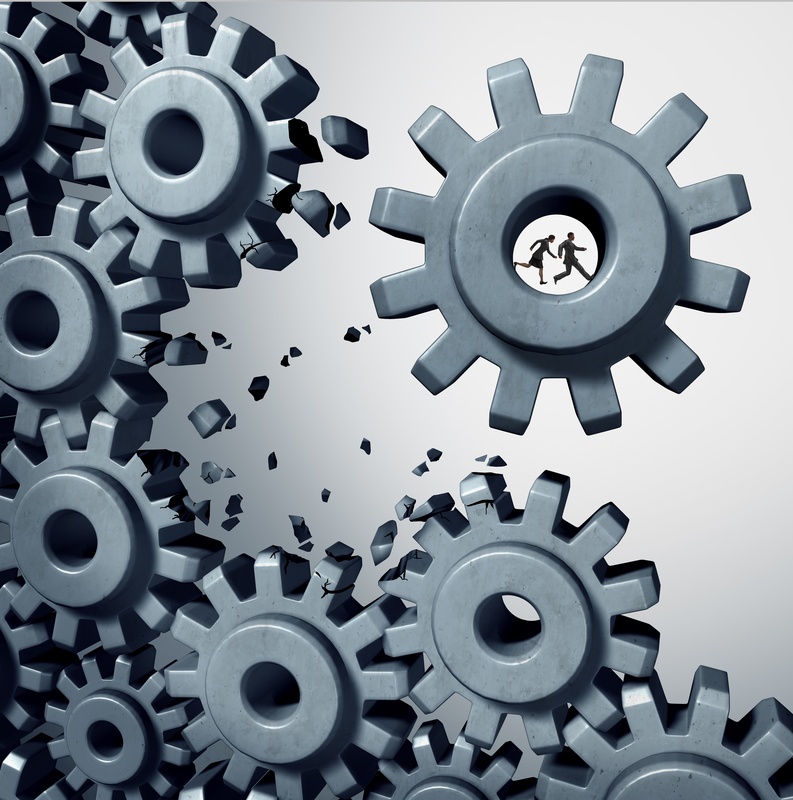 Advanced skill sets either come from new hires or outside resources. 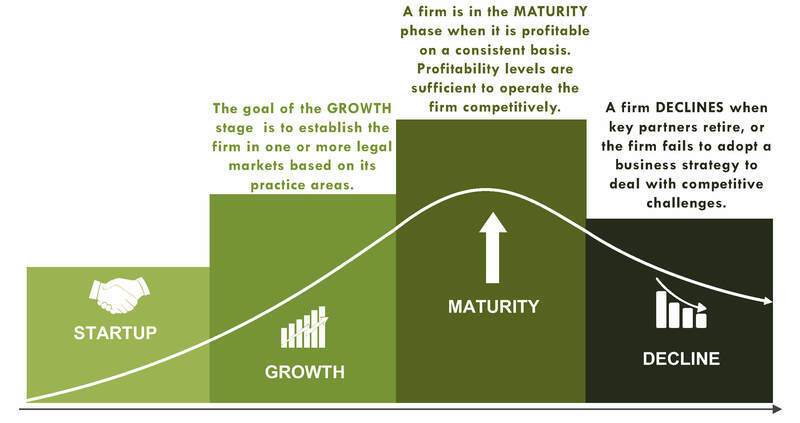 Once profits occur on a consistent basis, a growth phase typically starts and requires the firm to move to a professional business management approach, which is less reliant on the firm’s equity members. To scale and manage growth successfully, we recommend firms to determine their projected income versus projected expenses required to pursue their objectives. Additionally, firms should require members to consider what investments are needed to sustain and grow their revenues and profits. These investments include operational and marketing components. Operational investments include the consideration of the optimal staffing mix, infrastructure investments, practice tools, and systems. Meeting these needs using a combination of in-house resources, outsourced services, and software applications is recommended. We recommend the same approach to meet the firm’s marketing needs: a combination of in-house resources, outsourced services, and software applications. Brand awareness and service differentiation, which result in a competitive advantage. Regardless of how a firm chooses to manage a growth phase, we highly recommend these steps to ensure sustainable organizational growth. Using this recommended approach promotes the firm’s brand, supports a healthy cost structure, and promotes the long-term stability of the law firm.